I was going to start this thread and actually contribute but seems a selfish mod beat me to the punch. KenGard and KenGard like this. Very nice Xavier... Now that you've had it for almost a month, how do you like it so far? 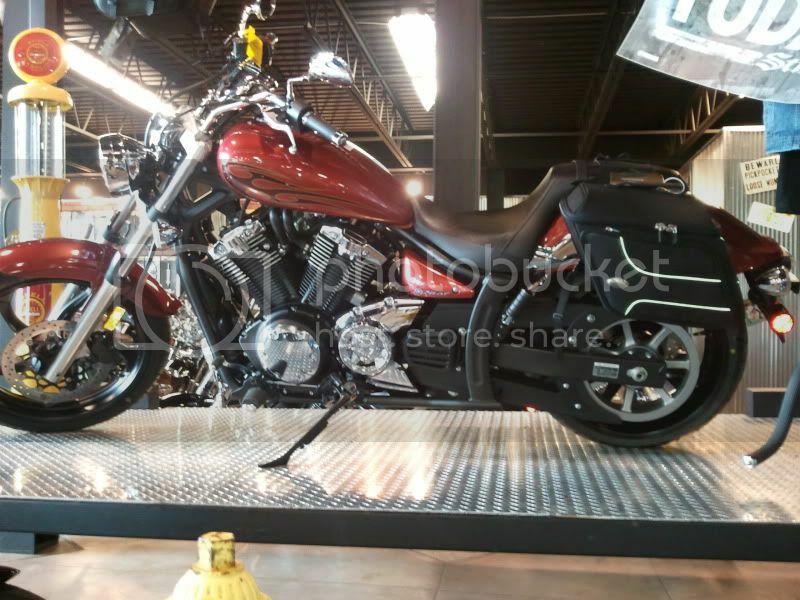 I've been looking at the VStar 1100 and 1300 but today, I went into the dealership and revisited the Stryker. My GF actually likes the Stryker's styling over the 1100 and 1300 which surprised me. It definitely has a stylish look to it. Anyway, I sat on the Stryker and it started to grow on me. It was more comfortable than I thought. 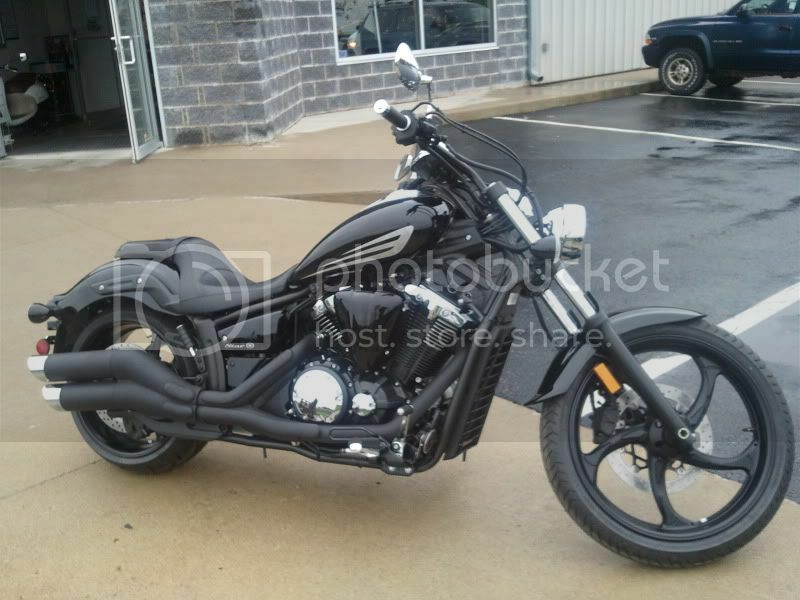 So, after today, it appears that the Stryker has been added to my list of potential first bikes. Well, I don't really have any cruiser experience other than the few times I've ridden my fathers '01 Indian Spirit to compare it to. Coming from an R6 I do miss the top end and flickability but even with the stance the Stryker still handles amazingly well. The torque is a fun aspect, too. It is definitely more comfortable on longer trips than my R6 was, that's for sure. Here's mine. I am about to ride it home in the rain. When I got home, I drilled the muffler end caps. I am not happy with the sound yet, but I am totally happy with the bike. I now have 58 miles on it. I think the Strykers look sweet. Go make some new disaster. Thats what I am counting on. 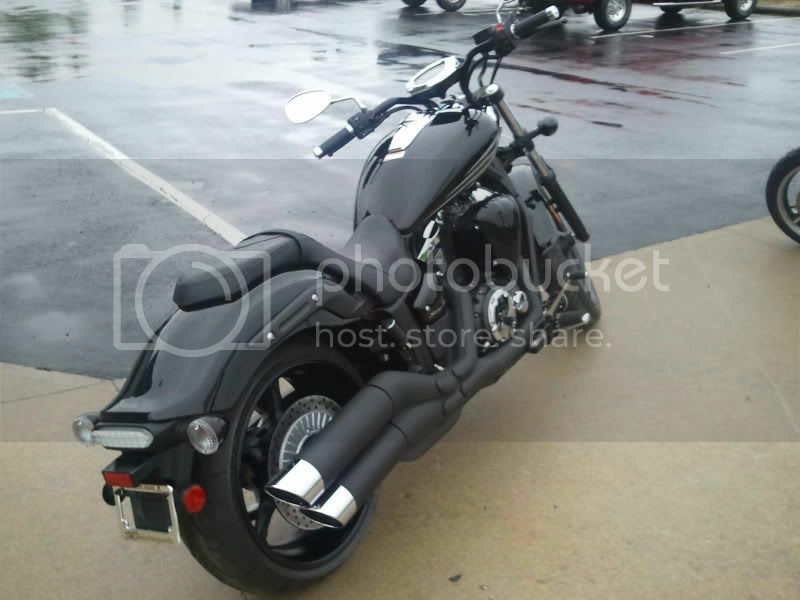 For those of you that wonder what a Stryker looks like with saddle bags here is mine. I have to always carry cold weather and rain gear because of where I live. And yes that's a frozen pond in the back ground and a sign that says bear country. Had to wait for the cows to get out of the road. And yes in the last pic I was running out of tracks in the road where there was no snow. Last edited by Toby; 12-15-2011 at 03:00 AM.